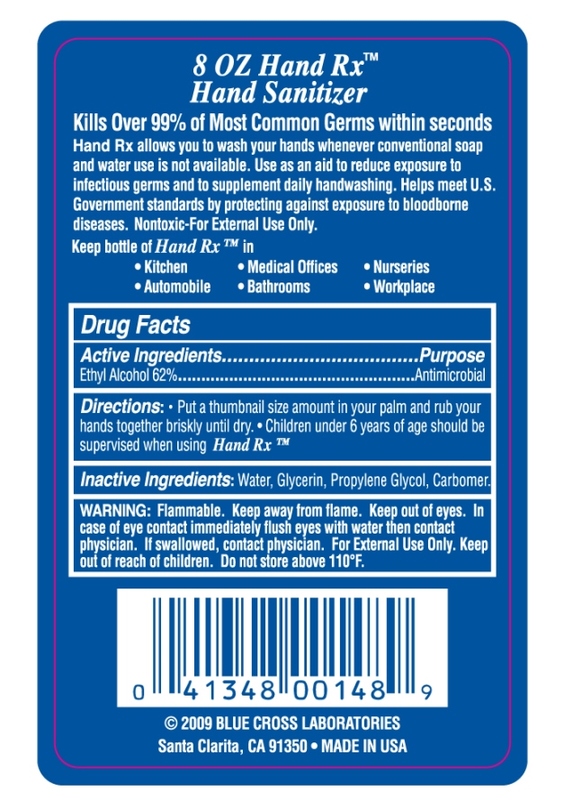 Keep out of eyes.In case of eye contact immediately flush eyes with water then contact physician. Warning: flammable. Keep away from flame. If swallowed, contact physician. For external use only. Do not store above 110 degrees farenheit. 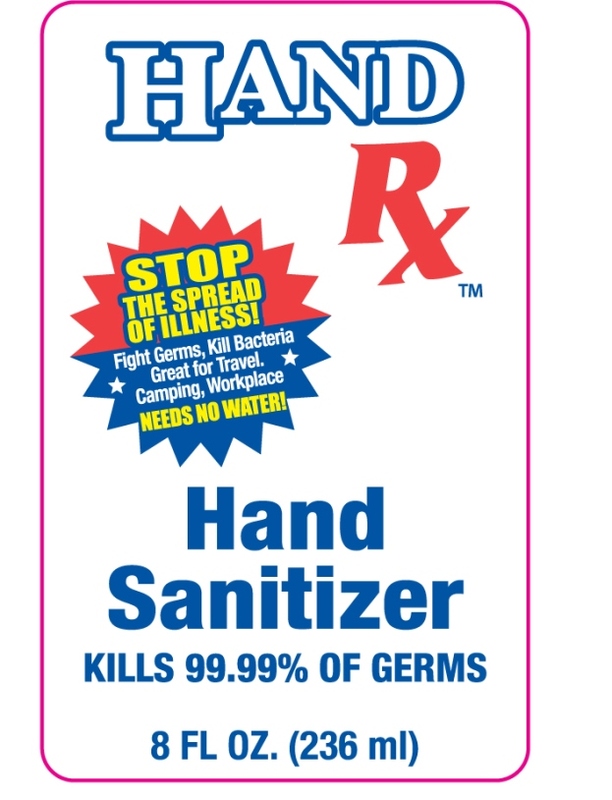 Children under 6 years of age should be supervised when using Hand Rx.